Filming has begun on the fourth season of The Last Kingdom for Netflix, the hit historical drama based on Bernard Cornwell’s best-selling novel series The Saxon Stories. You can check out the cast filming announcement in the player below! 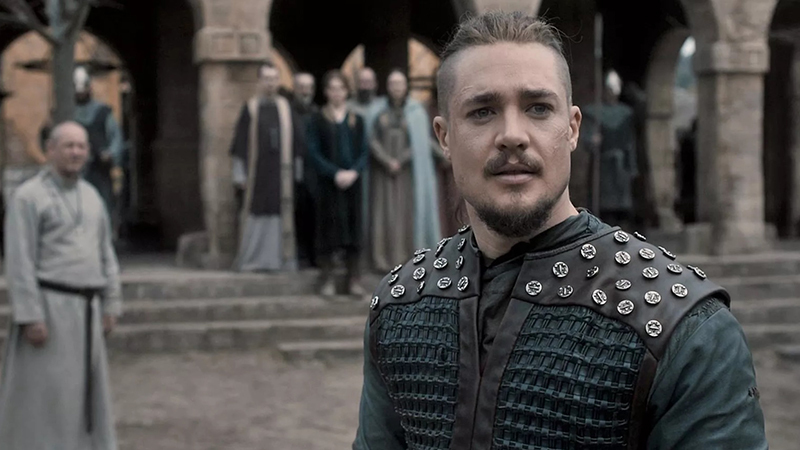 Alexander Dreymon reprises his role as Uhtred, joined by new cast Stefanie Martini (Doctor Thorne, Prime Suspect 1973) who takes on the role of Eadith, Aethelred’s new love conquest, and Aethelred’s new right-hand man Eardwulf, played by Jamie Blackley (The Halcyon, If I Stay). After the death of Alfred, the alliances between the kingdoms are fractured. Uhtred believes the timing is right to challenge his uncle Aelfric, played by Joseph Millson (Casino Royale, Banished), and take back his ancestral home, Bebbanburg. However fate shifts in a different direction, leading Uhtred to realize that his destiny is tied to Alfred’s dream of a united land. This and Uhtred’s feelings for Aethelflaed drive him back into the politics that threaten to break out into war. Returning cast includes Ian Hart (Father Beocca), Toby Regbo (Aethelred), Emily Cox (Brida), Timothy Innes (Kind Edward), Eliza Butterworth (Aelswith), Mark Rowley (Finan), Millie Brady (Aethelflaed), Magnus Bruun (Cnut) and Jeppe Beck Laursen (Haesten). The Last Kingdom is written by Martha Hillier and executive produced by Gareth Neame, Nigel Marchant and Jessica Pope with Vicki Delow producing. The series is produced by Carnival Films. Season 4 will launch on Netflix globally in 2020 with 10 episodes. It will be released at a later date across Africa, Belgium, China, Greece, Israel, Italy, the Middle East, the Netherlands, the Nordics, and Poland. The series is distributed worldwide by NBCUniversal International Distribution. The post Netflix’s The Last Kingdom Season 4 Begins Production appeared first on ComingSoon.net.